After ten years of living with a color we didn’t really like that much, we’re finally beginning to repaint our living room and dining room. The hardest part so far has been picking out the new colors. 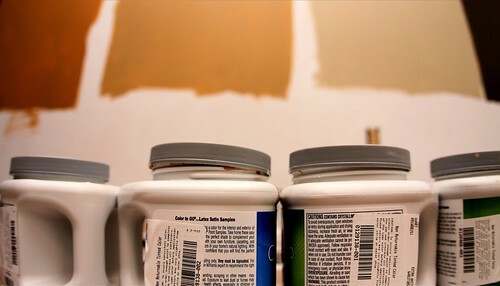 These are just a few of the sample colors we painted on one wall to make our final decision.My guess is we’ll be done with this project by Christmas.